It has been 8 days since we broke free of the marina and it seems so long ago. We have moved each day although we have kept each of the passages short except for one, and even that one wasn’t all that bad. We’ve also added 2 new anchorages to our list in the process. Conditions have even been favorable for sailing – imagine that! And so we have, sailed that is, every chance we could. Sometimes we didn’t sail very fast but the large, lightweight Code 0 has been a real asset in these conditions. It has kept us moving even when the wind was but a whisper. I have to thank Jamie Gifford (SV Totem) for convincing me that this sail suit was the way to go and Dave Benjamin (Island Planet Sails) for fixing us up. So we’ve kept moving, pushed by some compelling force to get “North”. Until today that is. 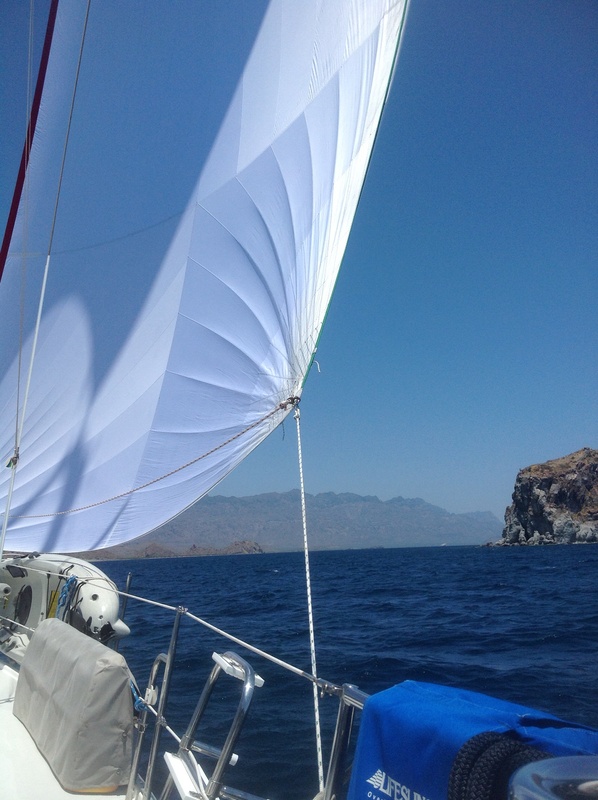 Today we are anchored at one of Judy’s favorite locations, Los Candeleros, the site of the Villa Del Palmar resort. We plan to enjoy their amenities and activities today and tomorrow before resuming our “northing” on Saturday. Probably. Today we’ve gone all decadent and signed up for the “all you can stand” food and beverage package. That sparked my competitive spirits and I set about to make sure we got our money’s worth. Yeah, I know, who knew I had a competitive spirit, but we’re talking food here people! At this writing it’s only 1530 but we’ve already had a full restaurant meal with mimosa’s and bloody mary’s, along with 3 snacks, 5 margaritas and countless cokes and waters sent to us poolside. No telling what the final tally will be but know that we have been training for this and will do our best. Judy is playing bingo poolside and they are bringing me some kind of piña colada in a fresh coconut. Seems it’s the special of the day so I couldn’t say no. Jeez, this is tough. I mentioned Farkwar in the last post but realize now that I gave the wrong web address. Try Farkwar.com instead of dot org. Sign up, it’s free, then search for the vessel Milagro. Once you’ve found us you can, since you have already signed up, “follow” Milagro. Doing so means you will get an email each time we update our location that will also include any text information we’ve sent. Pretty cool, eh? IN YOUR FACE YOTREPS! 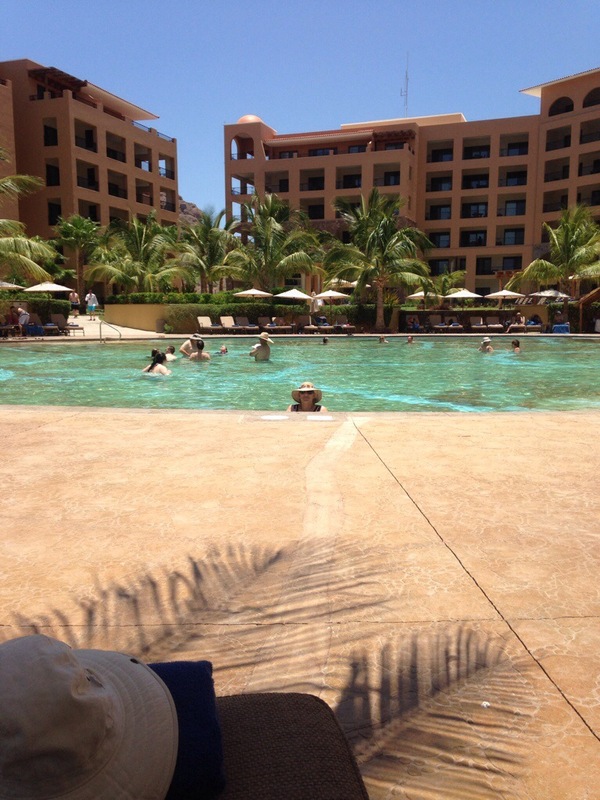 I’ve gotta go now as there’s just enough time for one more lap around the pool before that coconut arrives. Por ahorra mi amigos, hasta luego. An excellent challenge and know that you and Judy will make us proud. Enjoy the rest of your trip north!